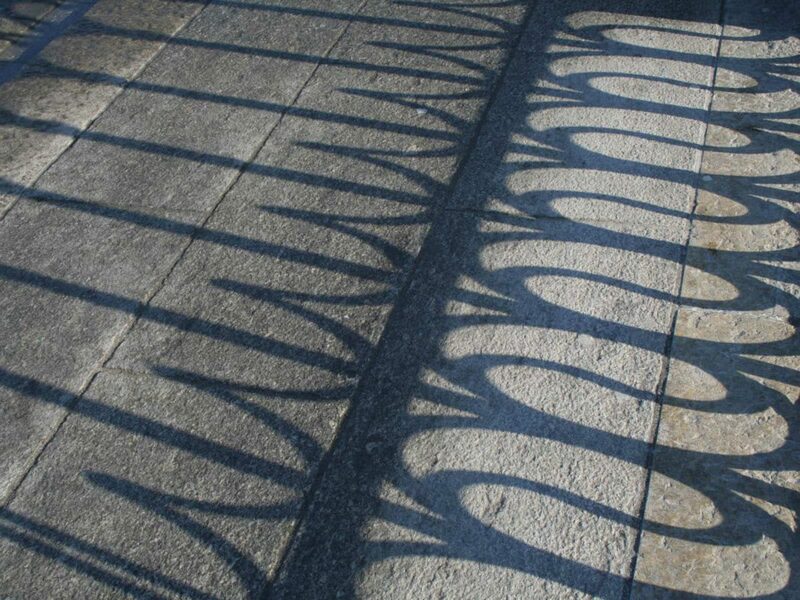 Walking over one of the bridges (on one of the few half sunny days) the railing cast a gorgeous shadow. Coming from a textile design background I could not just walk over this pattern. 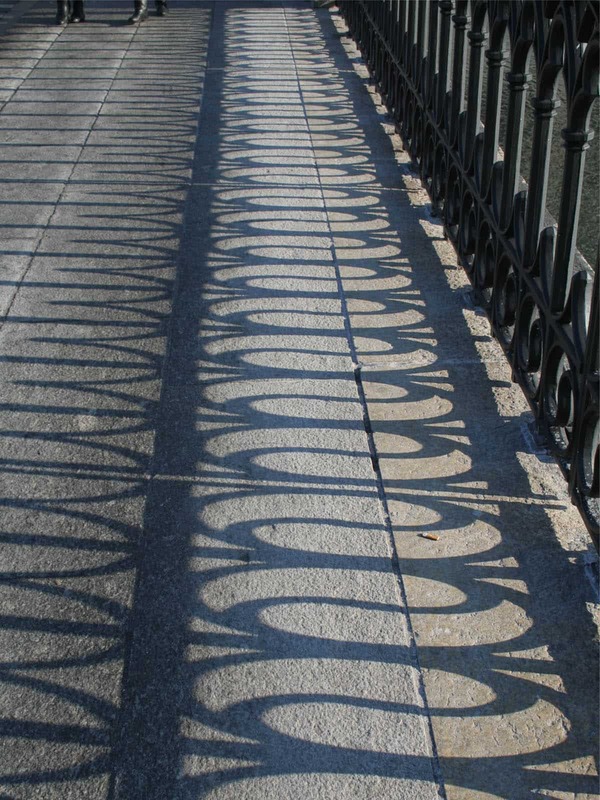 I love how the pattern (as the shadow) is distorted and how the geometric lines meet and divide the flowing shapes. 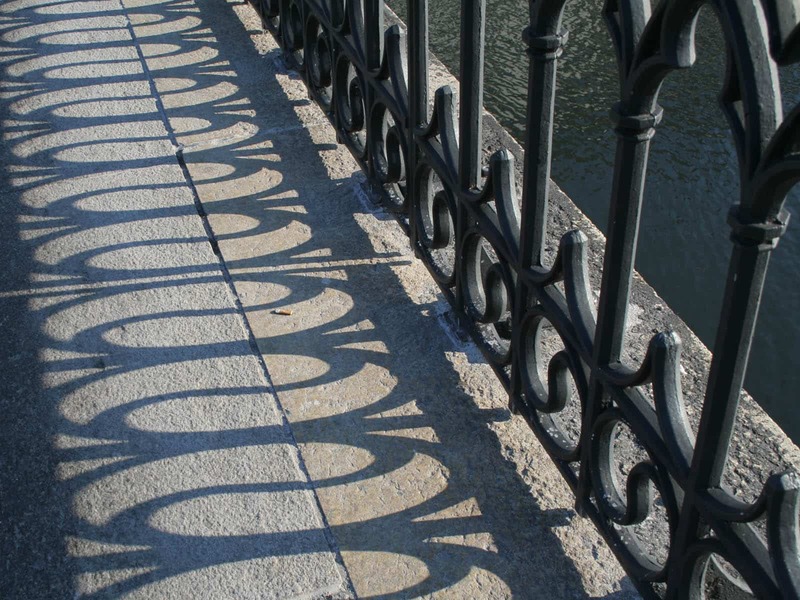 This entry was posted in Blog and tagged bridge, pattern, railing shadow, shadow, zurich.